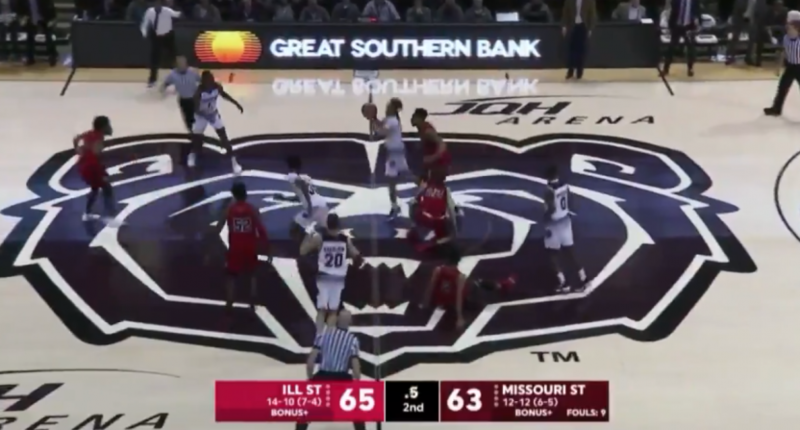 The Missouri Valley Conference is perpetually entertaining (at least that’s what it feels like), and as we get closer and closer to Arch Madness, the Valley just produced what will likely be the craziest finishing sequence to a college basketball game this season. It’s the scrum for the loose ball that really makes that play, before Jarred Dixon somehow corrals the ball and gets off a desperation heave from the middle of Missouri State’s enormous court logo. That sent the home team (and home crowd) into an understandable frenzy, and Springfield’s surprisingly varied and charming selection of downtown bars will probably be pouring plenty of drinks tonight.